After the colorful trip to Cologne and the Gamescom last week, there is a very different road upcoming this weekend: a weekend trip to the mountains of Austria. 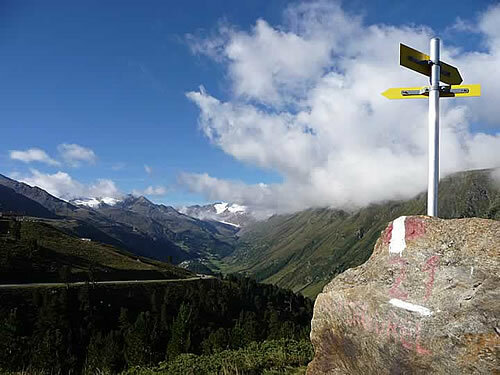 We will visit the "Ötztal" again - that's where they found the "Ötzi" a couple of years ago, the frozen mummie of an ancient person who crossed the Alps a couple of thousand years ago. Fun facts: it's about the same distance from here to Cologne and to the Ötztal (4 hours), but very different destinations. The drive to the Ötztal is fascinating already: the mountains appearing in the distance, and then coming closer, and closer, until you are right inside them. Modpo is starting again, at the 10th September! If you haven't heard of it: " ModPo is a fast-paced introduction to modern and contemporary U.S. poetry. The next live, interactive 10-week session of ModPo will begin on September 10, 2016, and will conclude on November 21, 2016." I joined in 2012, and for mie, it still is one of the best Coursera courses / experiences so far. I just enrolled to the new course. More about it, in my blog posts from 2012: Modpo notes, or: 70 days of poetry. And I received a mail yesterday that I first thought was spam, but that turned out to be from an editor of Drunken Boat. Turns out, they started a "vintage" series of blog posts from previous issues. And one of my pieces - "The Space Behind the Ridge" - has been selected as this week's feature for the vintage series. It is now online. The images in the piece are from the trip I once made to India. ah, past travel memories... and a good prelude to the upcoming road trip, too. Safe travels, looking forward to travel tales. It's been too many decades since last I visited. Congrats on your featured work.